NBC News national correspondent Miguel Almaguer is known for his dual view standups — and his latest spectacularly showed off a wall of ice in Chicago. 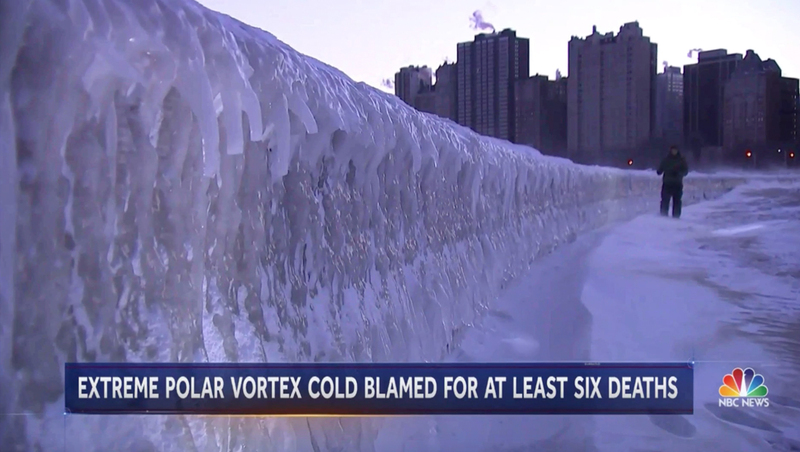 Almaguer taped a standup for the Jan. 30, 2019, edition of “NBC Nightly News” that started at an extreme angle that showcased the long wall of ice that formed on the “sea wall” that runs along the Lake Michigan beach. The shot was framed so that Almaguer was in the distance, walking along the wall, before switching to a closer view of him that set him against the background of the lake.